Numenon and Mogollon – How Numenon Evolved and When’s the Sequel, Mogollon, Coming Out, Already! NUMENON: A TALE OF MYSTICISM & MONEY–The book that started the saga. I received a question today and thought it was perfect to pass along to you. Some readers have complained that Numenon ends abruptly. Others have expressed their annoyance over the length of time it’s taken me to get Numenon‘s sequel to you. The answer below explains Numenon’s process of creation and what’s going on with its eventually-to-be-released sequel. Q: Did you originally write Numenon with a view to writing a sequel, or was that something that came to you later? But how to cut a book that occurs at a week-long spiritual retreat? Do you go: Vol. 1 , Sunday through Tuesday; Vol. 2. Wednesday through Saturday? Or cut it based on the action. Where? I didn’t see any way to chop it. Finally, I realized that a big hunk of the story occurred as the Numenon group is on the way to the retreat. I pulled out the front end of the original book and named it Numenon , the book you have read and presumably at least liked or you wouldn’t be reading this blog. Numenon ends abruptly, as the corporate crew gets to the retreat site. Perhaps too abruptly, as some reviewers have pointed out. I had two things in mind when I created this ending. The first is a a movement from Tai chi, which is a sort of playful spinning of the hands, which for me always signified turning the world on end. Kind of a flip. So the end of Numenon is really the beginning of the next stage. A flip of reality and the start of a new reality. I thought that was cool. I always loved that movement when I was doing Tai chi, too. WILL DUANE–Founder and CEO of NUMENON, the largest corporation in history. GRANDFATHER—The Shaman You’re lucky he’ll say that much abut himself. The other thing I was thinking about in my whack! ending was that I was going to publish the remaining 1,200 pages as Mogollon, the sequel right away. I had it written, after all. But, everything happened. First off, I’d learned to write about a million percent better by the time I was ready to seriously address Mogollon. Given that, I could see that the second half of the book needed total rewrite before going anywhere. Once I realized that, the sky fell in. I got the worst writers’ block imaginable. I could not write about Numenon nor Mogollon or anything related to the Bloodsong Series AT ALL. I could barely scribble out grocery lists. Then the usual life events popped up: I had major surgery. My ankle was fused; leg bone connected to the foot bone, permanently. This was a last ditch effort to deal with severe arthritis in my ankle and allow me to walk. I’ve always liked walking. So then the rest of life marched in, depression, repression; you name it. My mother died. Really. I’m telling you all this because I want you to know what writing is like. Do authors have magic fairy dust that allows us to effortlessly create our plots? Do we have magic charms to clear spaces in our lives so we can write our books uninterrupted? No. We’re just like you, living life with all it’s joyous and cruddy moments/years. What popped me out of my paralysis was my brother dying. I had the amazing spiritual experience that I describe in the Author’s Notes of The Angel & the Brown-eyed Boy and Lady Grace (and Sam & Emily). That experience created the Tales from Earth’s End Saga, three published books so far, and got me going on Mogollon again. I am WAILING on Mogollon now. I am so glad that I didn’t publish the monstrosity I had written all those years ago. The new Mogollon has the skeleton of the old version, but everything is changed. New plot lines and characters have appeared. Old ones had disappeared. You’ll see what I’ve done soonish. I’m hoping that we’ll be able to launch Mogollon in 2012. That’s a stretch. May have some review copies by then. I’ll keep you in the loop. So, in a longer answer than either of us expect, that’s the skinny on Numenon. I appreciate your support and enthusiasm enormously. Keep the faith! The world of Grandfather and Will Duane, Doug Saunders and Melissa and Wesley and Bud is alive and kicking. He stood in the deepest place. He stood in the place that was closest to the core. He stood in the sacred place and held the eagle feather. He raised the feather to the sky, to the sky people, to the guardians of the world above. “I pray to you, people of the sky, be with us this week, this week be with us. Stay with us and keep us safe.” The shaman spoke in the old language, his voice rising and falling. It was neither querulous nor weak. No one hearing it would guess his age. Hundreds of warriors watched silently, sitting in the deepest place. Grandfather turned to the four directions, one by one. Let them give up their strife and faultfinding, the old man prayed silently. Let them stop picking each word I say apart. Let them see you, O Great One, and stop fighting me. I am your tool and your soldier, nothing more. Grandfather swayed on his feet, feeling the Presence of the One. Oh, Great One! You who fills all the earth, the stars; the things that we can see, and the things that we cannot see. I love you! I praise you! I worship you! Give us victory over the intruders from the outside, over the intruders from the inside, he prayed in his silent heart. Free us from the poison thoughts and feelings, from the desire to see only small things and differences. Let us see that we are the same. As you are the One, so we are one. 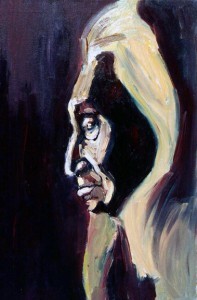 Bud Creeman stood next to Grandfather, circulating the smoke with his feathers. He let out a piercing cry. “I see you, Great One! I see you!” He raised his hands high. Let us accept your bounty with graciousness and love, he prayed. And let us recognize a great gift when it may appear small, or not what we wanted, or not a gift at all. And may our visitors from the great corporation get what they need this week, he voiced silently. May they have the love they need, the courage they need; may they have the will to die and be reborn. He sang in the old language, voice rising over the Bowl. He stood in the deepest part of the Bowl, in the place they called the amphitheater, the Pit. Where the meteor stuck long before the dawn of days. Grandfather knew that the meteor did not give the Power. The Power was there before anything. The Power made everything. He sat cross-legged on the earth. The warriors were around. Rapture came to him. Tears of joy came to him. Tears of joy rose from the bliss inside. Like a sun came the Great One, like the sun of suns, splitting his heart in two, tearing him in pieces until the bliss was so great that the universe broke open and he dropped, a shining pearl, a brilliant diamond, dropped into the nothing that exists beneath all that is. He heard no more until the sun was high. 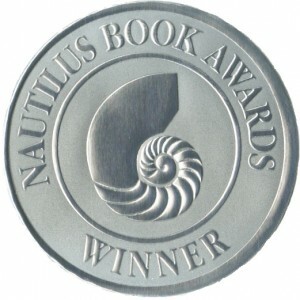 NUMENON WINS SIX NATIONAL AWARDS! You can buy both of Sandy’s books for $16! (Plus shipping. Continental US only, Please.) These also will be signed by the author and inscribed to you or the recipient of the book. Remember: No shipping for purchases of two or more books from Vilasa Press. Contact Barry at vilasapress@gmail.com for details. 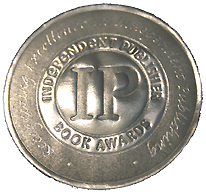 “I’ve been thrilled and shocked and grateful this spring as the book contests announced their winners. 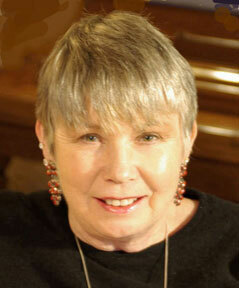 Numenon won two more national awards in prestigious contests. All the information about Numenon’s wins is below. “I’d like to invite you to read my book. I spent years writing and fine-tuning it until it said what it was supposed to say. More years getting it published. Now you can reap the fruit of my work and read my book at your leisure. 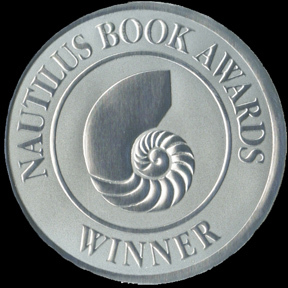 Numenon, by Sandy Nathan, is a 2009 Silver Nautilus Book Awards Winner! He stood in the deepest place. He stood in the place in the Mogollon Bowl that was closest to the core. He stood in the sacred place and held the eagle feather. He raised the feather to the sky, to the sky people, to the guardians of the world above. Grandfather acted like he was alone, but all the warriors were around him, watching in the predawn. Bud Creeman fanned the smoldering herbs, spreading the smoke’s blessing to all the directions. Hundreds of warriors watched silently, sitting in the deepest place. He turned to the four directions, one by one. Bud Creeman stood next to Grandfather, fanning the smoke. He let out a piercing cry, eyes pressed closed. “I see you, Great One! I see you!” He raised his hands high. The warriors shuffled softly, feeling Bud’s ecstasy. He stood in the dirt before the stage his followers had constructed. He would be on that stage all the coming week. Now was time for the old ways, for the earth. His feet rested on the ground. His feet worshiped the guardians of the world below. He invoked their presence. He invoked their protection. He was in the sacred place, the sacred Mogollon Bowl, the place of visions, the place of the Ancestors, the place of the Great One. “O Great One, you fill the earth from end to end, from top to bottom, from all the directions. You fill us as the weaver fills her loom. You fill us like the breath fills our lungs. Like the breath makes us move and gives us life. You are the life, oh Great One. Our life, the life of all the world. The life of the land, of the stars and planets, and the worlds beyond worlds. He sat cross-legged on the earth. The warriors were around. Rapture came to him. Tears of joy came to him. Tears of joy rose from the bliss inside. Like a sun came the Great One, like the sun of suns, splitting his heart in two, tearing him in two until the bliss was so great that the universe broke open and he dropped, a shining pearl, a brilliant diamond, dropped into the nothing that exists beneath all that is. Will stared out the vehicle’s tinted window, scowling. The Ashley, his luxurious motor home and the hallmark of the Numenon caravan, jolted across the desert in fine form. Will wasn’t doing quite as well. The terrain had been the same all day: dirt, rocks, cacti. Plus those stupid round trees that dotted the landscape like lice. They weren’t even eight feet high. Will hated New Mexico more than he thought possible. They can’t even grow a proper tree, he thought to himself. Will rubbed his chin, feeling a screamer coming on. He would not give in to it. He would stay in control. The last fifteen minutes had been the worst. Phalanxes of junker cars from the 1970’s bounced alongside them, surrounding the Numenon caravan. They enraged Will. It’s 1997, he thought. Not one of those cars is even from the nineties. What kind of people drive cars that old? The vehicles lurched along with their alligatored vinyl tops and mottled paint. Gigantic boxy hulks piloted by dark people who drove like Roman taxi drivers. “Mark, how much longer?” he shouted. “It’s right up ahead, Mr. Duane. Over that rise.” The driver pointed at a ridge a short distance away. Will could see laden vehicles driving over the incline and disappearing. Other cars emerged, having dumped their loads. His jaw clenched. He sat in his command seat, directly behind the driver with his back against the cabin’s rear wall. He faced the same direction as Mark. They were the only ones in the RV who could see out the windshield easily. Looking to his left, Will saw the anxious faces of Betty and Gil. They sat on the banquet along the Ashley’s left wall, twisting to see through the big picture window behind them. Why were Betty and Gil Canao the only ones in the cabin? When they started, his secretary, Betty; Gil, Doug and Melissa, the three super-star MBAs; Sandy Sydney, Betty’s assistant; Mark, the driver; and he had shared the cabin. Where were the others? A light flashed, reflected off of the chrome of one of the vehicles outside. It struck Will’s eye and he rocked back in his seat. His eyes rolled back and quivered. Red rock walls rising high above them. Bright sunlight. He was running, breathing convulsively. Sobbing. Thrashing on the ground, fighting. Something crushed him into the rock. Everything went black. Will blinked, coming back to himself. Something had happened out in the desert. He could recall it dimly, like someone else’s dream. All this fuzziness. Why couldn’t he remember simple things? He felt like his core, the hard center that was him, had cracked. The damn light did it. New Mexico wasn’t just rocks and dirt. It was light. And space. All day, they had passed though that emptiness and the light. Who he was began to melt away. His control, his purpose, all of him was being undermined. He put his hand on his chest. The tight sensations he felt were nothing. His doctor had told him that the day before. His heart was good. Will rubbed his chin again, trying to remember. Something came out of the buzzing, disintegrating void inside him. The old shaman had appeared in the desert in front of them in a golf cart. There he was, shimmering in the light and heat. Will had walked out to him and the light surrounded them. Light had come off the old man, even more than from the sky. Will had broken down for some reason; he had fallen at the holy man’s feet, sobbing. Why, why? His disintegration had accelerated since then. Why couldn’t he remember? “We’re here,” Mark called. The Ashley pulled over the bank. The driver stopped the vehicle abruptly, staring out the windshield. Will jumped up and grabbed the back of Mark’s chair. He froze. “What is it, Will?” Betty asked. She and Gil moved forward, straining for a look at the place where they would spend the next week. Betty peered through the windshield. The Mogollon Bowl spread out before them––as far as she could see, a writhing mass of people was interspersed with camping equipment. Well, some of it was camping equipment. Shabby tents and tarps on poles. Shades on aluminum legs. People unloaded cars and headed back to the parking lot outside the Bowl. Other cars inched around, searching for a place to camp. The Bowl crawled with movement. The sprawling space was virtually undifferentiated: no trees, no lawn, no structures except two derelict buildings in the distance. The Indians’ hallowed ground looked like the desert they’d crossed, but less interesting. No big cactus or rock formations jutted up. It was rocks and dirt and chaos. This was the legendary Mogollon Bowl where anyone could become psychic and all your problems would disappear? She thought of all the work she’d done in preparing her brief on Grandfather, the famous shaman who led the retreat. On those close to him. On Indian history. On the Bowl itself. For this? She looked at Will, knowing what his reaction would be. Will only stayed at five star hotels. Living in the luxurious Ashley was his idea of camping. Her boss’s face grayed with horror. He turned to her, mouth gaping. He said it for all of them. She glanced at Gil Canao, who looked out the window in glum silence. She opened her mouth to echo Doug’s sentiment, when Will grabbed Doug and hugged him like a grieving father. “I thought we’d lost you,” Will cried. And with that, the memory descended upon her––what had happened on the drive in. Will lying in that canyon, covered with blood, bones bent at impossible angles, squashed. Really squashed flat. And Doug next to him, foam coming out of his mouth, body bent backward in a crescent. 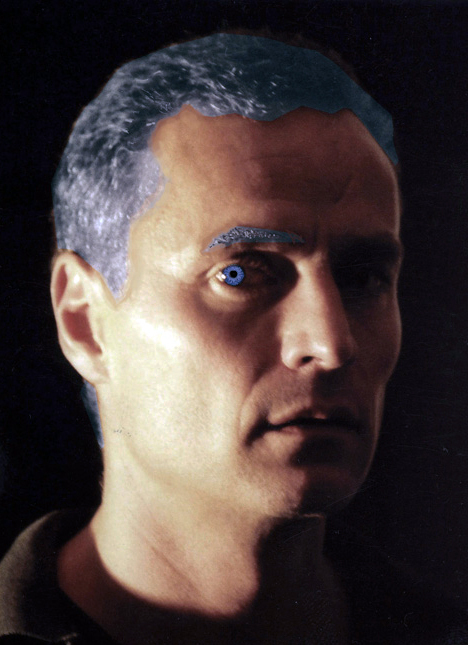 Blue and bloodless, both of them. Her sobs took her by surprise. Her hands went to her face and she doubled over. Will, Gil, and Doug jumped toward her. Will caught her in his arms, and the other two men joined the hug. The minute they touched her, her backbone stiffened. She pulled herself erect, trapped in the circle of solicitous males. “Thank you, thank you so much.” She said to them. Tears streaked her face. “Oh, I’m sorry. I can’t . . .” Will handed her his handkerchief. She snatched it gratefully. No one cried at Numenon. Ever. No matter what happened. She sputtered, “Oh, seeing you on that trail, Will. And you, Doug. I couldn’t believe it. Oh.” They moved closer to hold her again, but she stood stiffly, quivering, but not crying. “It’s OK, Betty,” they said at once. But it wasn’t OK. They almost died, all of them. A flood could have killed them. This was a horrible, horrible trip. But Bud Creeman had saved them. She had heard so many of Will’s empty promises that she didn’t know what to think. But something else took precedence. “I want to go home to John . . .” The tears came again. She wiped her face, conscious that she’d shed more tears in public in the previous five minutes than she had in twenty-eight years of being the head of Will’s secretarial staff. Private tears didn’t count. “I’ll make arrangements for all of you to leave. You don’t have to deal with this . . .” Will’s arm swept the crowd outside. Betty looked out the window. Indians surrounded the Ashley. She saw them as a hats and braids and shirts of every color. Jeans. Faces. Bodies, short and tall. Fat and thin. Some were very dark, almost like African Americans. Others were as light as Gil Canao. Their eyes grabbed hers. Black to hazel, those eyes bored into the Ashley, trying to see past the tinted windows. Trying to see them. She put a hand to her chest, feeling her heart racing. Not one face was friendly, not one mouth smiled. They stared, a half circle of intense eyes, brown skin, dark hair. The first ring was followed by another, and another. Their foreignness shocked her. She had never seen so many Indians; she had no idea that that many existed. Four thousand of them were supposed to be at the Meeting, to their ten people. Her breath caught. On the way in, she had talked about the danger they might be in if the Indians found out about Will’s plan for mining their holy lands. Seeing them surrounding the Ashley, the danger became real. Her heart jumped as though it wanted to leap out and run away. What were they doing there? Though no one smiled in a welcoming way, some began to point at the Ashley and laugh. Two Indians dashed out and stood in front of the vehicle, posing. Others took their picture. They ran back to their friends, laughing uproariously. Another pair came forward for a souvenir photograph, then another. The crowd roared. They were laughing at them! The representatives of the largest corporation on earth. Not representatives––the founder of the largest corporation in history and the richest man in the world and his top staff . . . Betty was outraged. The team from Numenon Inc reaches their destination, the fabled Mogollon Bowl. They’ve been attacked waylaid, deceived, and nearly killed. What else could happen? Everything. The Meeting explodes as Grandfather’s prophecies come true. The shaman knows that Will Duane and his friends can make his vision of world peace a reality. Working together, his People and the most powerful corporation on earth can break down centuries if mistrust and treachery. The transformation can spread all over the glove. The world where love is king can come to be. Grandfather also knows that what they are doing at the Meeting is so important that al the forces of evil may arise to stop it. Which will prevail ––cooperation and harmony or unrelenting strive? Is peace on earth something we can achieve? Or will our darkest nightmares rule? 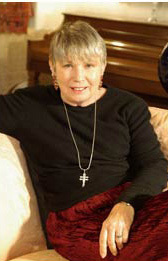 Get ready for the next episode from Sandy Nathan’s world of intrigue and mysticism. Numenon Kindle Hits #1 on Amazon! 99 cents! NUMENON VIDEO! IT’S HOT! CHECK IT OUT! 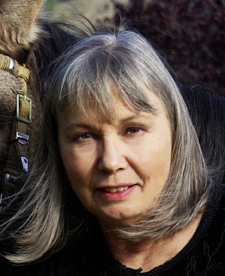 You’ve reached the web portal of Sandy Nathan’s Bloodsong Series. The books of the Bloodsong Series take you to the world of real power––the power that goes far beyond what the physical senses can grasp or comprehend. They also pretty well cover the world of power you can attain, buy, or enjoy. The world of wealth and worldly attainment. Think they don’t mix? Think again. Each book stands by itself and has its own set of actors. Some of these move to the next book, and some are left behind––one way or another, alas. This is a thrilling, tough, edgy world only for those willing to face the ultimate in themselves, and the world outside. THE BLOODSONG SERIES BLOG CONTAINS ALL THE LATEST INFO ON THE SERIES AND LET’S YOU SHARE YOUR THOUGHTS AND FEELINGS ABOUT IT. 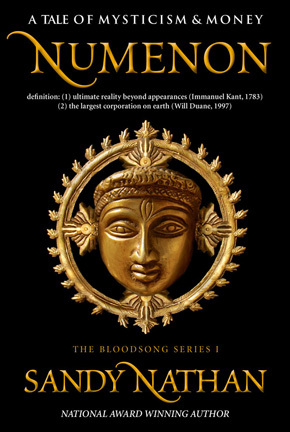 NUMENON: A TALE OF MYSTICISM & MONEY IS THE FIRST BOOK IN THE SERIES. Click on the book cover above to be transported to Sandy Nathan’s web site and all the info about the book. Noumenon really does mean “the thing in itself.” It comes from Immanuel Kant’s Prologomena to any Future Metaphysic, recommended reading for anyone seriously studying metaphysics. That means the entire New Age and human potential movement. We never know if chair, dog, and daddy exist. We never reach them. And, there’s no way of ever doing it! It’s IMPOSSIBLE. Right there, that takes out the metaphysics as most people talk about it before reading your tarot cards. This is obvious to anyone keeping up with science and biology, isn’t it? The brain science guys know it, the biology of the self dudes. That’s what they’re writing about. All we know are our brain’s interpretations of electrical impulses. It doesn’t mean that you can’t have religious experience or believe in God or anything, it means that at an essential level, you can’t say that anything, big or small, really exists. You have to infer it from what your nerve impulses say. But here’s the crazy guy, Will Duane, who wanted to be a philosophy major and got stuck having to get an MBA, naming his corporation after the Noumenon, which no one can touch or experience. Also, he spelled the name wrong, making it Numenon, because he was in a hurry when they were incorporating. Does Numenon the book exist? Sure does. In about 400 pages of prime paper, Numenon is realer than your bathtub. You can get into Numenon and get lost. I made sure of that when I told Will Duane’s story. Get lost and stay lost until it’s over. And come out pickled and wanting more. I’m going to do my best to see that you get lost again. The sequel to Numenon, Mogollon (Mow-go-yone), is on the way. And is it mad and bad! This is where it all comes down. On Will and his friends. Meet me with Numenon, renew the acquaintance with Mogollon.